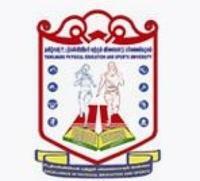 Tamil Nadu Physical Education and Sports University was established in the year 2004 by an Act of the Government of Tamil Nadu. It is a state university exclusively for Physical Education and Sports. The University aims to provide quality higher education in the field of Physical Education and Sports through innovative programmes in teaching, coaching, research and outreach activities. It has a population of more than 7000 students. The university offers various undergraduate and postgraduate programmes in the field of Physical Education and Sports.